• Believe it or not, the interest in good parenting, parenting styles and general child care is actually a relatively new phenomenon. • In this article you'll get an outline of the dominant parenting paradigms of our modern age starting from early 1900s up till to today. • Sit tight for an interesting journey through the history of parenting and child rearing values. The Psychological and Scientific Interest in Children Is Only a Little Over 100 Old! The scientific interest in parenting and academic discussions of 'what is the best mode of child rearing' haven't actually been around for that long! Of course that's always a matter of perspective, but considering the fact that we humans have been having kids for eons, literally, the deep founded interest in the psychology of children and their general development and well-being is remarkably young. In fact, it was only in the late 1800s that pediatrics, infant care and child psychology actually became subjects of scientific interest. Before that time, the general perception of children and general child health care was typically influenced by various religious convictions and dominating philosophical attitudes. The Late Birth of the First Child Care Organizations! The great Industrial Revolution of the 1800s can be seen as a two-edged sword. On the one hand, the Industrial Revolution represented optimism and hope for the future in terms of great advances in technology, agriculture and general economic growth. On the other hand, it wasn't necessarily a great improvement for children and their living conditions. 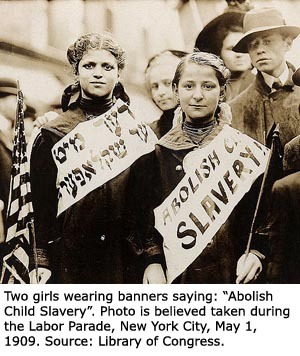 If anything, with the Industrial Revolution, child labor became more visible than ever before. Fortunately, the general awareness of children's harsh circumstances rose throughout the century. In 1887 the American Pediatric Society saw the light of day. The American Pediatric Society was established in order to provide the general public with educative information on various infant issues. In line with this physicians and nurses also started conducting baby examinations. 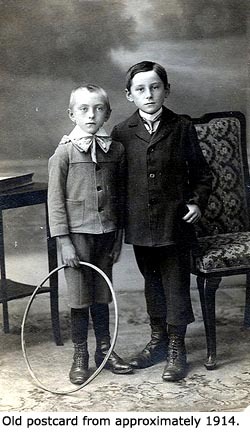 In 1897 PTA (The Parent Teacher Association) was founded as a group of spokesmen for children and their health and safety. In 1912 U. S. Children's Bureau was founded. The U. S. Children's Bureau provided information on infant care and maternal health matters. This means that not only had science moved into the parenting domain, the physical and emotional well-being of children was also seen as governmental issue, too. - Public Interest in Parenting Is Now Slowly Being Awakened! Yes, from approximately 1920 and onwards scientific information on child care and child health started to become general public knowledge. Rather than just following tradition or family customs, mothers were increasingly influenced by the strong authoritative voice of 'science'. A voice that was - and still is - very convincing, alluring and powerful, but not always wise! In the next couple of sections I will briefly outline the 3 most dominant 'scientific' approaches to parenting that were identified during the 1900s. I will present them chronologically trying to stay true to the time when they were scientifically discovered and defined. In 1928 behaviorist John Broadus Watson wrote the famous "Psychological Care of Infant and Child". In this book he shares his rather mechanical view on people and society. Basically he views children as objects that are to be strictly shaped and moulded so that they may develop into efficient tools of society. In order to prepare children for adulthood and society's high demands, parents were encouraged to keep their children in very tight reins and install a good and sound work ethic. This was best though done by keeping children under strict behavioral control (requiring instant obedience and demanding chores etc.) as well as psychological control (using threats along with aggressive intrusiveness). Today, one can hardly believe it, but in "Psychological Care of Infant and Child" parents are directly advised to withhold their affection so as to not spoil their children. 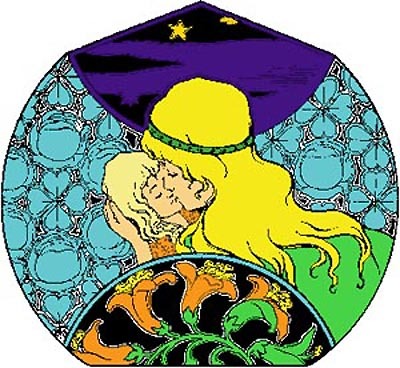 What John Watson is actually advocating is the message 'showing love is dangerous'. He is recommending that women reject and abandon their motherly instinct to bond and nurture their children on an emotional level. Emotions, positive as well as negative are perceived as threats to order of things and to what we may call instrumental rationality! 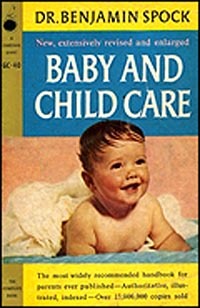 In 1946 Benjamin Spock, a representative of the Freudian psychoanalyst view, published "In Baby and Child Care". In this book Benjamin Spock sought to encourage mothers to trust, not abandon, their own parenting instinct (something the advent of John Broadus Watson's educational child rearing science had tried to eradicate). Basically Benjamin Spock urged parents to try and see the world from perspective of children in order to better understand their behavior, needs and personality. Acknowledging and meeting the child's needs was seen as crucial for the child's well-being and healthy future development. Spock saw parenting more as a matter of 'working with' the child by trying to understand the reason behind tantrums, disobedience etc. Contrary to what has been said about Benjamin Spock, he didn't call for a complete abandonment of discipline. No, he saw discipline more as a question of acknowledging what a child is actually capable of doing at a particular age and stage of child development. In other words, he was a spokesman for what may be called age appropriate discipline. 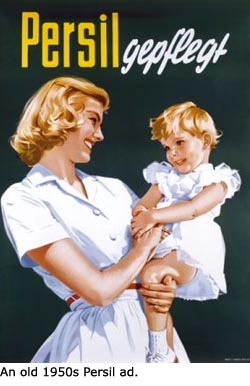 Another scientific voice supporting the great importance of affection, warmth and child mother bonding also came forward in the late 1940s and in the 1950s. This was the strong voice of psychoanalyst John Bowlby. John Bowlby did his famous research on attachment theory, child grief and separation processes which lead to valuable insights into early infant bonding processes. Yet another voice from the child centred parenting domain was A. S. Neill, the Scottish educator and founder of Summerhill School. He was a passionate advocate of children's right for personal freedom but since then he has been criticized (by Diana Baumrind, among other people) for putting the child too much in the centre and allowing the child too much freedom. "Control and Sense the Child!" 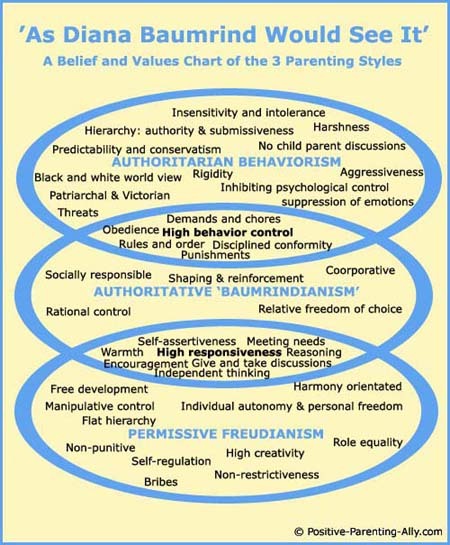 The authoritarian parenting style (the behaviorist parenting approach recommended by John Broadus Watson, high parental control, low parental responsiveness). The permissive parenting style (the Freudian approach to children low parental control, high parental responsiveness). The authoritative parenting style (a combination of the two: high parental control along with high parental responsiveness). A Model of Diana Baumrind's 3 Parenting Styles! Below you'll see a model I've made containing the dominant values or primary features of Diana Baumrind's 3 parenting styles. Sometimes the 'bubbles' overlap. The values placed in the 'shared space', represent shared values. In the model below I've done my best to represent Diana Baumrind's view point in terms of how I think she would distribute the values. Authoritarian Parenting Beliefs and Values: Patriarchal, Victorian, behaviorist, insensitivity and intolerance, hierarchy, authority, submissiveness, harshness, predictability, conservatism, no parent child discussions, black and white world view, rigidity, aggressiveness, inhibiting psychological control, suppression of emotions, threats. Shared Authoritarian and Authoritative Values: High behavior control, disciplined conformity, demands and chores, rules and order, obedience, punishments. 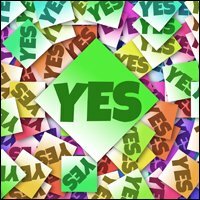 Authoritative Parenting Beliefs and Values: Socially responsible, shaping and reinforcement, coorporative, rational control, relative freedom of choice. Shared Authoritative and Permissive Beliefs and Values: High responsiveness, give and take discussions, self-assertiveness, warmth, independent thinking, meeting needs, encouragement. Permissive Parenting Beliefs and Values: Freudianism, manipulative control, bribes, individual autonomy and personal freedom, high creativity, non-restrictiveness, role equality, non-punitive, harmony orientated, free development, flat hierarchy, self-regulation. Your Chosen Parenting Style Is Dependent on Your Goals and View of the Perfect Child! The parents' behavioral habits toward their child. It's particularly the last one I will deal with here, namely belief systems and goals. Most people don't think about parenting styles. They just more or less copy their parents' parenting style or follow the dominant parenting trend in their society. This is fine, if that is really what you want! Diana Baumrind's authoritative parenting style has received widespread approval from western child experts. Authoritative parenting is considered the most successful of the 3 parenting styles in terms of producing happy, independent children that do well in school. Permissive parenting has been praised for producing children with good social skills and high self esteem but mediocre academic performance. Therefore this parenting style is also seen as less successful because in general, academic performance is considered a goal. But 'what is a goal' is all dependent on the point of view which again is typically influenced by societal norms. Permissive parents' children may do less well in school but maybe school performance isn't considered as important a value by the parents as creativity and personal freedom. Now, I'm not saying that one is better than the other! I'm just making the point that what is considered the best values to grow in your child is a question of personal perspective - it's not a universal given! I'm not an advocate of authoritative parenting, nor am I an advocate of permissive parenting. Conscious Parenting Is Getting in Touch With Yourself, Keeping the Long Term Perspective While Sensing Your Child! Sometimes my child needs my control in terms of some limits and boundaries in order to feel secure and have a sense of predictability. But sometimes he needs his freedom. He needs to be able to choose and have a say in what happens to him. I have no rules other than 'what is called for'. I do not follow senseless norms just because they are there. That doesn't mean it's not a challenge because fulfilling needs may require expanding your mind beyond what the norms say are the 'correct' way of raising children. It also requires opening your heart and sharpening your intuition in order to 'feel' what is the right thing to do! This is why I find Baumrind's authoritative parenting style a bit too rigid. Yes, there is warmth and affection but the parent's main role according to Baumrind is still to be an authority and control the child's behavior. However, in my eyes, sometimes need to step forward and take control and sometimes they need to step back. Parents use their open mind and sharp intuition to judge each situation (conflict) according to 'what is needed'! If I were to put names on the parenting styles I practice, I would say that it's a mix of positive parenting, attachment parenting and unconditional parenting. Hope you enjoyed this article. If you want to read in-depth articles on each of Diana Baumrind's parenting styles, please, feel free to follow the links below.